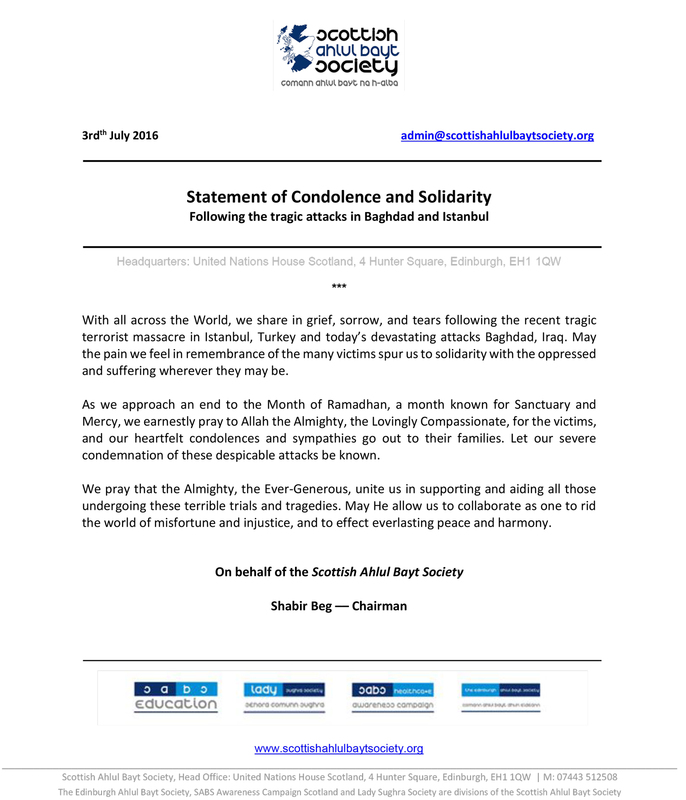 With all across the World, we share in grief, sorrow, and tears following the recent tragic terrorist massacre in Istanbul, Turkey and today’s devastating attacks Baghdad, Iraq. May the pain we feel in remembrance of the many victims spur us to solidarity with the oppressed and suffering wherever they may be. As we approach an end to the Month of Ramadhan, a month known for Sanctuary and Mercy, we earnestly pray to Allah the Almighty, the Lovingly Compassionate, for the victims, and our heartfelt condolences and sympathies go out to their families. 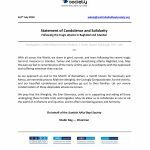 Let our severe condemnation of these despicable attacks be known. We pray that the Almighty, the Ever-Generous, unite us in supporting and aiding all those undergoing these terrible trials and tragedies. May He allow us to collaborate as one to rid the world of misfortune and injustice, and to effect everlasting peace and harmony.